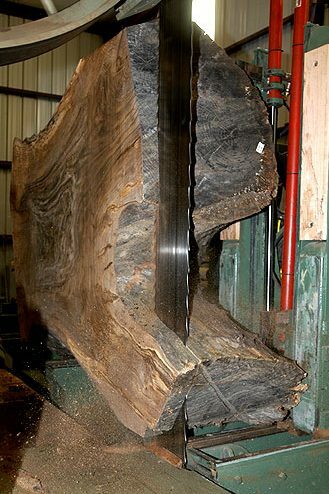 In lieu of the July meeting, First State Woodturners will be going on a Field Trip to Hearne Hardwoods in Oxford, PA on Saturday, July 9th. With over 140 species of domestic and exotic hardwood lumber in stock, Hearne Hardwoods is one of the largest specialty lumberyards in the world. They have over 20,000 square feet of lumber storage and retail space. Their inventory includes rare mutations of common species, natural edged flitches, salvaged antique lumber, exotic burls and turning blanks, and more. Their facility is built on an 18th century homestead and includes a stucco-over-log-cabin farm house, a 3500 square foot barn with hand-hewn beams, a fieldstone barn, a springhouse by the fish pond, and three other warehouses. Housed in the largest barn, their showroom features a burl and turning stock room, as well as self-serve lumber racks. Adjacent to this barn are two newer metal buildings housing the kiln, lumber storage, lumber racks, and milling machinery. and a fully functional woodshop. During our visit, we will tour their facilities and then, of course, shop till we drop! Hearne’s is located at 200 Whiteside Drive, Oxford, PA 19363. Their website is here. Club members will meet there at 10 AM, Saturday, July 9th.